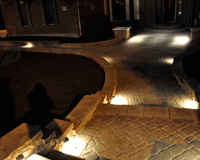 Texas Landscape Creations proudly serves Round Rock, TX with both commercial and residential services. Call (512) 992-9252 for your free estimate! Texas Landscape Creations provides lawn maintenance, irrigation and landscaping services to a variety of businesses in the Round Rock area. 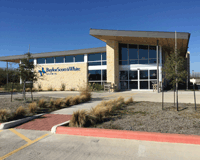 TLC had the pleasure of completing the landscaping and irrigation installations for Baylor Scott & White Clinic in Round Rock. TLC delivered a beautiful landscape that is low maintenance and looks great year round! 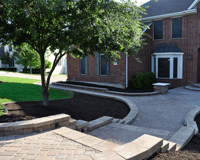 Texas Landscape Creations can provide custom landscaping for a variety of businesses and needs. We’ll take into account the level of maintenance required and your business style to create an environment unique to you. We can also create a landscape maintenance plan to maintain the area after installation. 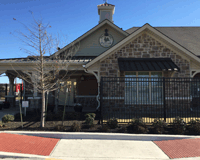 Another TLC success story is Primrose School of Round Rock. Primrose trusts TLC to provide professional lawn maintenance services that are aesthetically pleasing, as well as safe for the children they care for. Whether you are looking to schedule a lawn maintenance plan or wanting to recreate the outdoor area around your home, TLC takes pride in providing custom landscaping solutions that meet your budget and needs. TLC will provide a step by step process through evaluation, design, installation and continued maintenance. We’ll work with you to fulfill your vision while also keeping in mind your budget.